Back in 91' the luxury brand, Acura, came out with a high performance car to compete with the Ferrari 348. Acura has finally realized the market for a sports car has not dropped off and have been trying to bring the NSX out of the grave since 2005. 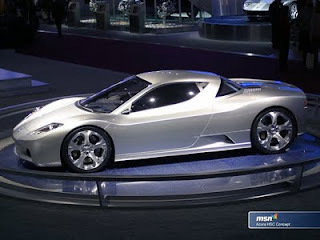 They tried to make a front engine V10 a couple years ago but in my opinion, was not a NSX by any means. It did do the Nurburgring back in 2008 with a decent time, yet was still out engineered by Ferrari and Lamborghini, and Godzilla. So now Takanobu, Honda's President, has decided to go with the formal 3.5L V6 pushing 400hp and get this, they want to incorporate electric motors as well to help push the hp up to 450 with a 0-60 time under 3.8 sec. The engine is said to also be suited with a supercharger to get that V6 up to speed. A 2.5L engine may also be available for a better price tag. Carbon fiber panels will be in places you expect along with a sleek interior and state of the art gauges and electronics. Honda says it will share the Accord platform but in reverse. This will be very cost effective and stilll be able to use the proven SH-AWD to be based around the rear wheels. This is the NSX we have been waiting for! 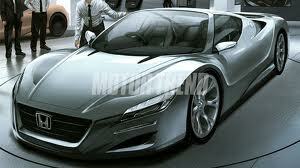 It will come out as early as spring 2014 and cost around $150,000 which is speaking to the right market. 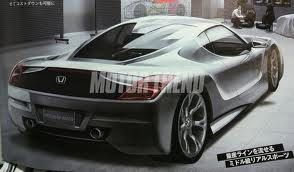 Acura was trying to do something different with the front engine V10 pictured below putting out 500hp but they shouldn't have called it a NSX. 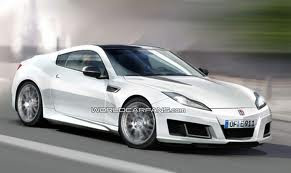 It would have been better suited with a RSX badge or something....dont you think? The design is sleeker from the other manufactured vehicles.